Amazing Grace is an electrifying experience; one of those awe-inspiring, transcendental types that take you straight to church. Even in the movie theater, it sparks the sporadic shouts of “sing, chile” and “let Him use you,” familiar phrases often summoned by the Holy Spirit in the Black Church. This 90-minute documentary is true testament to the divine breath which filled Aretha Franklin’s soul. 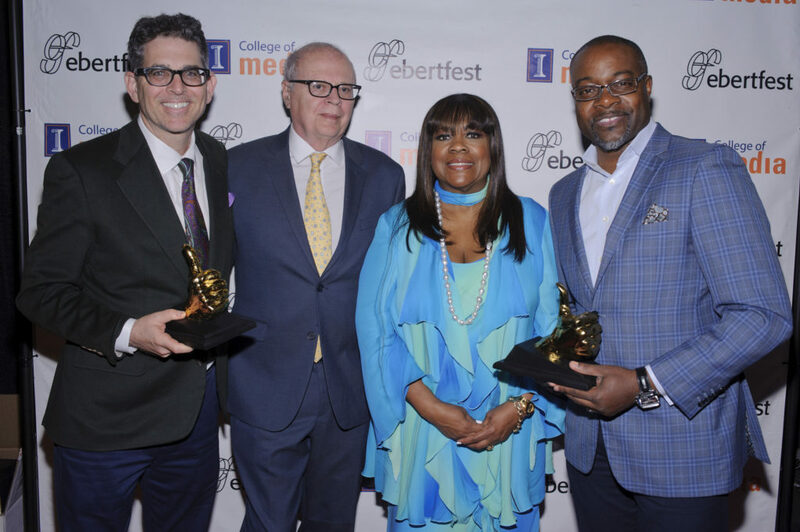 On Wednesday, the long-awaited Amazing Grace documentary kicked off the 21st annual Ebertfest at the Virginia Theatre in Champaign, IL. The festival celebrates the life and passion of highly-acclaimed film critic Roger Ebert, who passed away in April 2013. The documentary captures a young Franklin recording her fourth album Amazing Grace, the best-selling gospel record of all time. “They were crying and very emotional,” Amazing Grace producer Tirrell Whittley said about Franklin’s family, who were in awe after seeing Franklin so young. Whittley spoke to The TRiiBE after Wednesday’s screening. “I felt like that was our opportunity to give something back to the family,” Whittley said about the documentary. The 1972 live recording session was filmed by award-winning filmmaker Sydney Pollack. However, the project was delayed for several reasons, a big one being that the sound and Pollack’s footage wasn’t synced up properly. Also, Franklin initially didn’t approve of the film, citing legal issues. Franklin’s family supported the release of the film after her death. Amazing Grace transcends the big screen. It put me into the choir stand where I could be found on any given Sunday in my childhood. During the screening, an energy overcame the audience that reminded me of Black women in those big beautiful hats sitting in the church pews. The choir’s silver vests glistened like stars as they marched to their rightful place. People filled with the Holy Spirit danced through the aisles. It all placed me back in my own home church, Family Altar Evangelistic Baptist Church on Chicago’s West Side. Though it’s been a few years since I’ve had a church experience such as this, the memories never fade. Nostalgia quickly finds its way in while watching Amazing Grace. The Amazing Grace album features some of the most influential voices in gospel. That’s what makes this live recording so special. To see the magic unfold on camera only takes the album to new spiritual heights. Her father, Pastor C.L. Franklin, also takes the stage to give a quick word and, of course, to let his daughter know how proud he is of her. This moment feels the most special. The film also highlights one of Franklin’s biggest gospel influences, Clara Ward. She’s seen strutting around the church, and jumping for joy as Franklin sings. 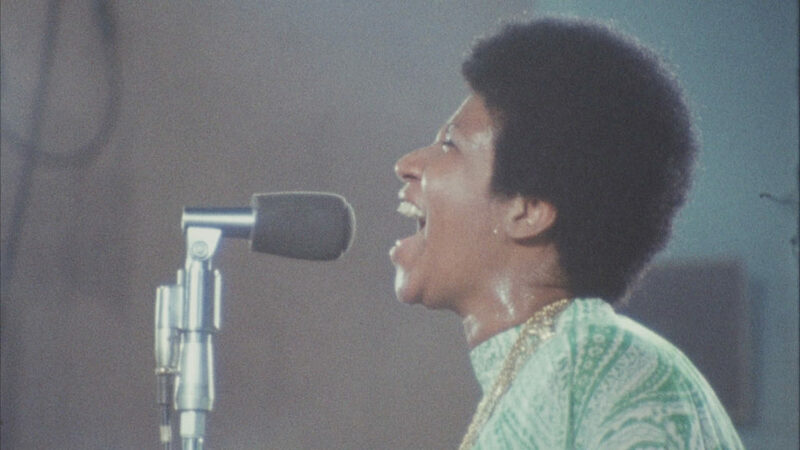 You might ask, what could make Wednesday’s Ebertfest kickoff more soulful than Amazing Grace? Good question. 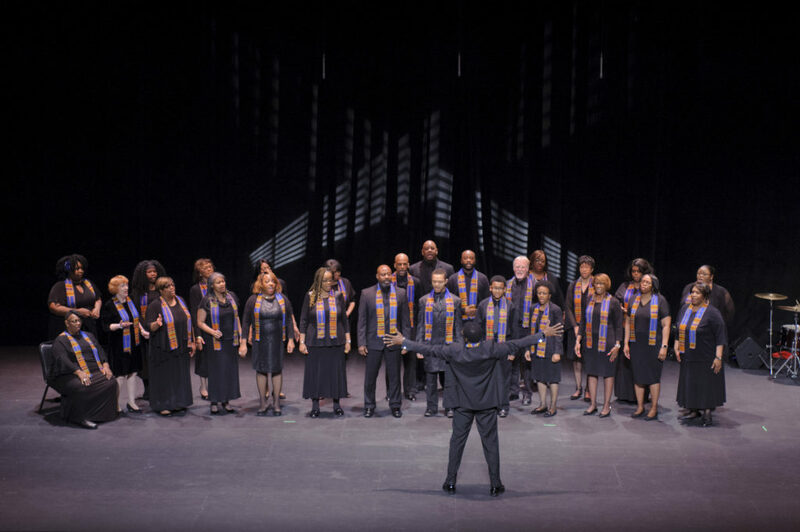 The Martin Luther King Jr. Community Choir capped the night with a few gospel selections. But even after hours of clapping and singing along with the film, the live performance quenched the audience’s thirst for more church. The film Amazing Grace is filled with raw, tender and unedited moments. Religious or not, the angelic sound of Franklin’s voice, coupled with the passion of the Black church, will move you. The film, just like the Black church, is a communal experience. So pack up your friends and family, and head to the nearest theater to remember and celebrate the Queen of Soul. Amazing Grace is now showing in select theaters around Chicago: including ShowPlace Icon at Roosevelt, Landmark Century Centre Cinema and AMC River East 21.